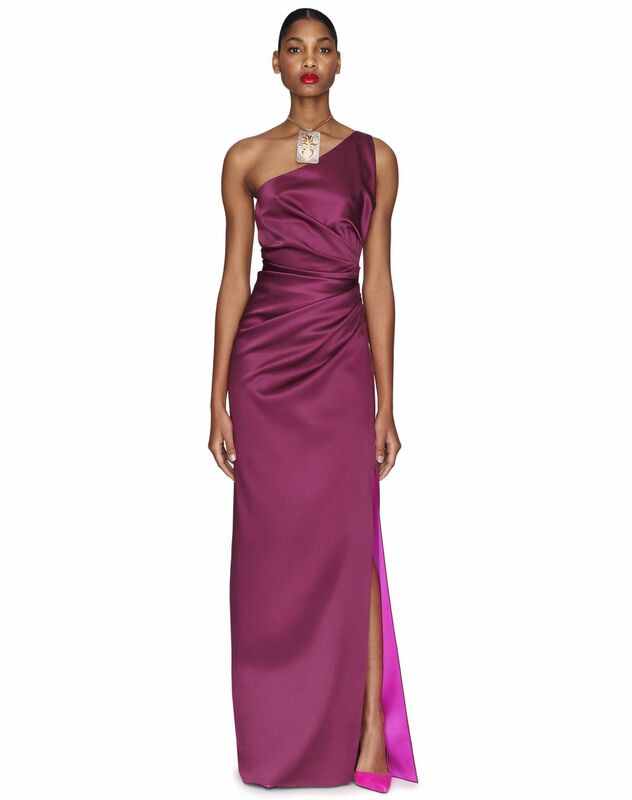 Long two-toned slit dress in purple silk weave, asymmetrical sleeves and neckline, cinched waist with draping effect at the hips and invisible fastening on the left side. This long slit dress stands out for its unique cut. The silk’s satiny appearance and vibrant purple colour add delicate radiance to this piece. 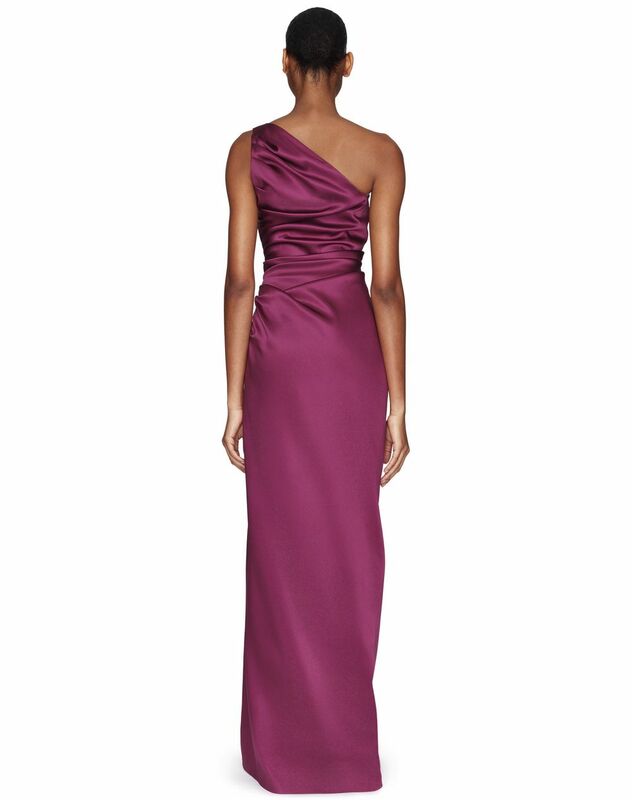 The refined draping subtly highlights the waist for an elegant silhouette. 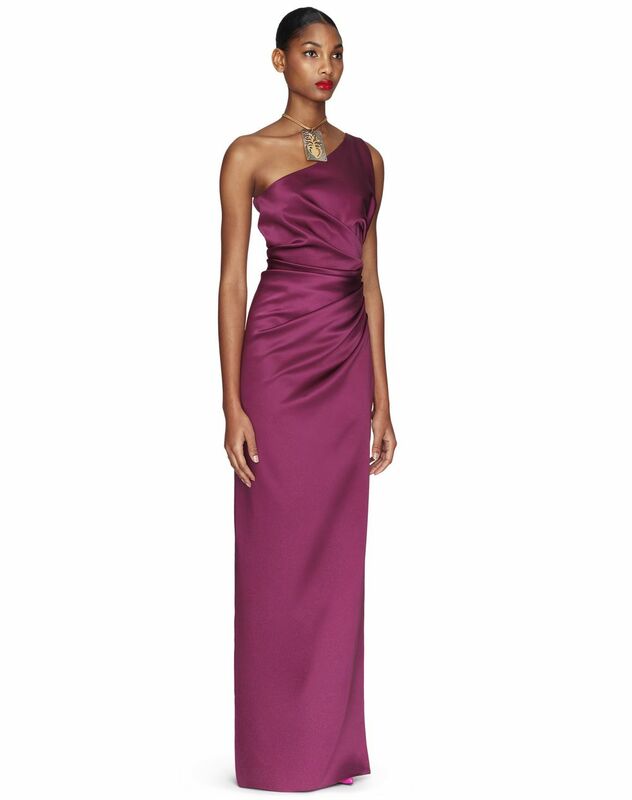 This sophisticated, feminine dress will become part of your most beautiful evening looks.